In spite of poor moth trap returns for the previous week we had a good turn out of people – perhaps it was the onion soup and other food provided for us that attracted people! Thanks to Trevor and Chris James for this and for generally hosting the event in a wood that is normally locked, barred and bolted overnight. 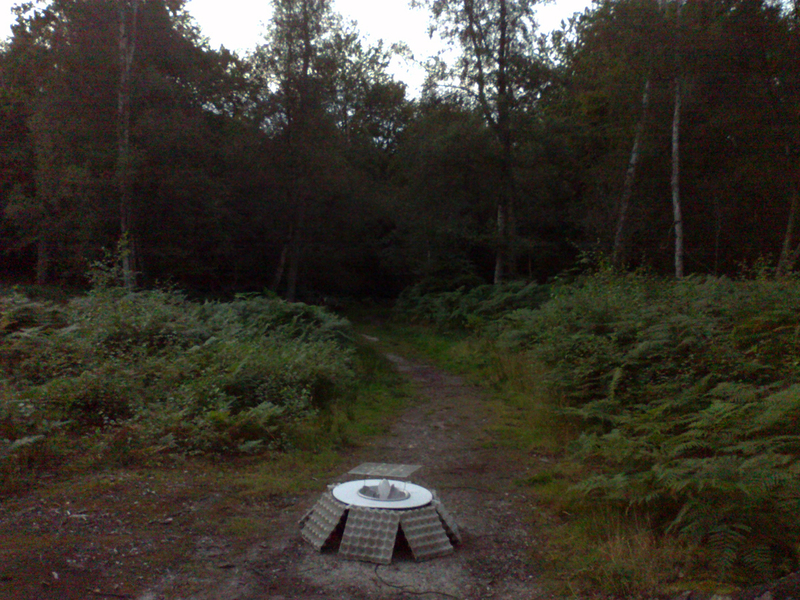 Note that Chris will be VERY pleased to hear from anyone who wants to trap moths either regularly or occasionally in Northaw Great Wood so the effects of management can be monitored. Please e-mail me if interested and I will put you in touch with her. 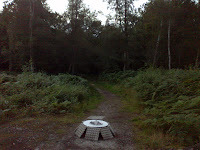 The site has a chequered history and was originally heathland that became wooded. It is a SSSI for its current woodland type, which was assumed to be ancient; this designation was, it is now generally agreed, made in error. During the past 6 years, Chris and others have cleared tens of acres of Rhododendron and were surprised and delighted when, a year ago, Heather suddenly re-appeared from the seed bank. Why surprised? It has been under the Rhododendron for a hundred years – that’s why! So there is great hope for a recovery of heathy woodland here. We ran a sheet in the cleared area, which is now dominated by Bracken under well-spaced mature birches – I have suggested that both be partly cleared to give the heath a better chance of recovering. The grass moth Agriphila latistria is the only species that might be vaguely associated with a sandy habitat. It is easily recognised amongst the grass moths by the white streak that runs the full length of the forewing, including into the terminal cilia. 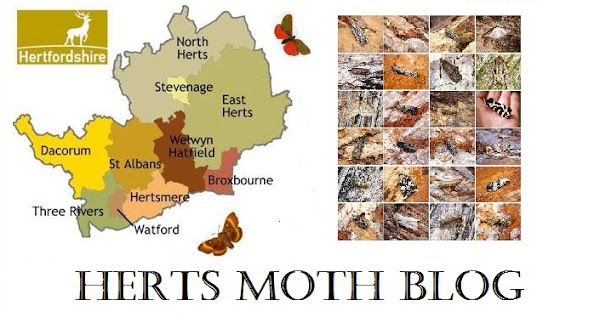 To my shame, I failed to realise when we caught it that it is actually NEW TO HERTFORDSHIRE, though I did keep the specimen. I wonder if it has reappeared with the Heather, or if it came with the wave of Jersey Tigers, Tree-lichen Beauties and others that hit us in mid-August? Another good micro was Metalampra italica which I assume is consolidating its residential status centred on woods about 5 Km to the north (see “Moths of Hertfordshire” pages 157 – 158; there is a picture in the new micro book by Sterling and Parsons). The full list is as follows (if I have missed any, please let me know). Apart from the several Light Emeralds most, if not all, were represented in single figures. The Oak Nycteoline was not dissected, though I am happy that it is not any other species. There were a few Hornets (Vespa crabro) as expected here, but these were quickly potted and did not cause any problems. We gave up in a fit of depression at about 23.15 hours.